Armin José Cruz, vice president of the Parking Business Unit at DFW International Airport in Dallas/Fort Worth, Texas, has been named its 2018 James M. Hunnicutt, CAPP, Parking Professional of the Year by the International Parking Institute (IPI). It honors management-level professionals who direct an entire parking/transportation operation or manage multiple units within a department. 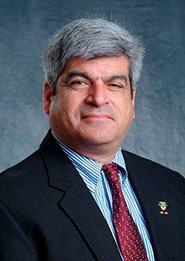 Cruz, the first Cuban-American to graduate from the United States Military Academy at West Point has served on multiple committees and boards for transportation organizations and nonprofits and is a three-time recipient of the Greater Dallas Hispanic Chamber of Commerce Chairman's Award.